After the latest revelations from released documents about the White House’s involvement in covering up Benghazi, talk of impeaching President Obama has been revived and is growing. There are already more than enough votes for impeachment proceedings in the House of Representatives. If the GOP takes the Senate in the midterms, it has been said that impeachment would be a top priority. There is a long list of reasons for which Obama could be impeached, including Benghazi, his anti-gun rights agenda, the IRS targeting scandal, the NSA spying scandal, Fast and Furious gun running scandal, the arming of terrorists in Libya and Syria, and of course Obamacare, to name just a few. Liberals are finally having to admit that an impeachment is becoming increasingly more likely, even if only so they can joke about it and dismiss it. They somehow still seem to think that Obama has done absolutely nothing wrong, and all of the scandals that he stands accused of are nothing more than made-up, fictitious, conservative conspiracy theories. At least that is the impression one gets after reading a Washington Post op-ed, including the hilariously naive comments at the bottom, that points to a new book this summer making the case for impeachment and the Benghazi select committee as evidence that impeachment could be coming soon. It isn’t that no one has talked about impeaching Obama before, because they have. But for the last five years, impeachment has been the purview of the nuttier corners of the right — the conspiracist web sites, the chain emails, the ranting radio hosts. For much of that time, the complaints weren’t so much about specific alleged misdeeds as Obama’s fundamental illegitimacy. Impeach him because he isn’t American. Impeach him because ACORN and the New Black Panthers stole the election for him. Impeach him because while other presidents hired people known as “White House staff,” when this president does it they’re “czars” wielding unconstitutional powers. They could certainly give you a list of particulars if you asked, but what it came down to was that Barack Obama was, well, Barack Obama. But now we have the Benghazi select committee, and a select committee is what you form when there may be crimes and misdemeanors to uncover. It has no other business to distract it, and it will be led by Trey Gowdy, a former prosecutor who excels at channeling conservatives’ outrage. The author makes note that Speaker Boehner and the GOP establishment most likely don’t want to proceed with an impeachment, remembering that the failed impeachment of President Clinton hurt them politically, but may go along with it to placate their base. In all seriousness, an impeachment drive would be, in many ways, another iteration of the central conflict of this period of our political history, the one between a Tea Party pushing the GOP to ever more radical tactics and a party establishment warning of political catastrophe if they go too far. The GOP establishment didn’t want to shut down the government or cause a debt ceiling crisis, but they got pushed into them and didn’t get out until the political costs became undeniable. They’ll warn that impeachment would be a terrible mistake, and they might persuade their brethren to hold back. But it won’t be easy. The author concludes by dismissing the Benghazi Committee as a mere political ploy that will find nothing of consequence to convince the masses of people that Obama committed some sort of wrong-doing. But whether they dismiss the Benghazi Committee or not, whether they admit that the IRS is breaking the law in an unethical manner or not, whether Obama has stepped outside his Constitutional bounds or not, they are being compelled to admit that impeachment proceedings are looking more and more likely. The Democrat Party has even sent fundraising emails to their supporters warning that the GOP will seek impeachment if they win in 2014. They can dismiss it and they can joke about it if they want. But people usually joke about things that make them nervous and uncomfortable. 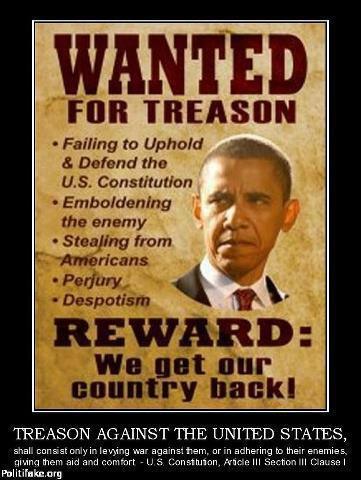 Democrats should be worried about the impeachment of Obama, because it very likely could begin to happen in 2015.